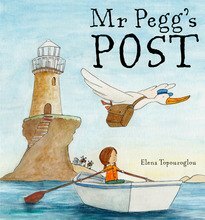 Elena is an author and illustrator originally from Greece who now resides in London. After graduating from a BA in Film and Animation, she worked for 10 years as a Visual Effects Compositor. During this time she worked on the Oscar-winning movies Gravity and Hugo and many other well-known films such as Beauty and the Beast, Paddington Bear and Harry Potter. 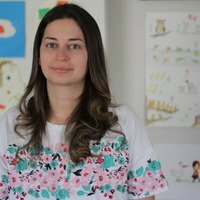 Her love for books, drawing and the influence of her sons love for children's books led her to study and graduate with an MA in children's book illustration from Middlesex University. She works mainly with watercolour, ink, screen printing and finishes her artwork digitally.